First it were the small devices and now, Samsung has moved on to larger ones. 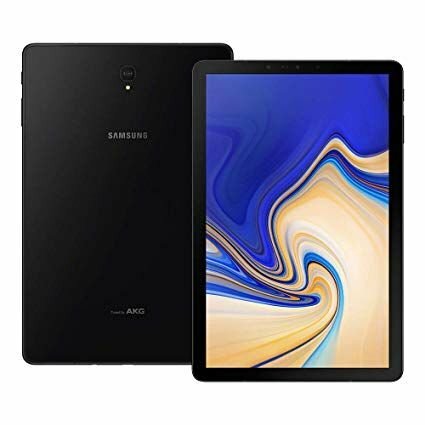 The brand has recently been rolling out updates to several handsets and now, Samsung Galaxy Tab S4 is also receiving Android 9 Pie firmware. Samsung’s new One UI skin for Android is also packed within the update. A user interface is a challenge when it comes to bigger and larger devices like tablets but looks like Samsung has handled it well for tablets. Samsung Galaxy Tab S4 users can check for the update in the notification section and if it doesn’t appear within a day or two, try doing the process manually by checking for Software Update in the Settings app. Once the package is downloaded, your Galaxy Tab S4 would install all necessary files automatically. Being a major upgrade, there might be some initial bugs, however. Samsung Galaxy Tab S4 update brings new and cool features to it. Currently the update is available in France but eventually, it will end up everywhere soon. So don’t be disappointed. Within a day or two, you will receive the magical notification. As we said, this update comes packed with Samsung’s One UI which currently is going through bugs like excessive battery drain, hiding navigation bar, trouble using gestures, etc. But we hope these bugs won’t stop you from downloading it. Don’t fret about these bugs, these are solvable and they might have solved in the current update as users reported them in older builds and also on different devices. So you haven’t received the update and you’re like, I am never going to have it. No, calm down. Every user of Samsung Galaxy Tab S4 is getting the update. The update might be there and you have been looking in the wrong place. Try this and we hope you smile at the end result. Navigate to settings, look for Software Update and then click Download and Install. Have you received Android Pie Update on your Samsung Galaxy Tab S4? Tell us in the comments below and also let us know what you think about the new UI on your tablet?